This spacious Pilgrim Village contemporary townhouse is privately sited at the end of a cul-de-sac offering lovely views and direct access to Keyes Pond. Enjoy the walking trails as well as boating, fishing & skating on the pond. 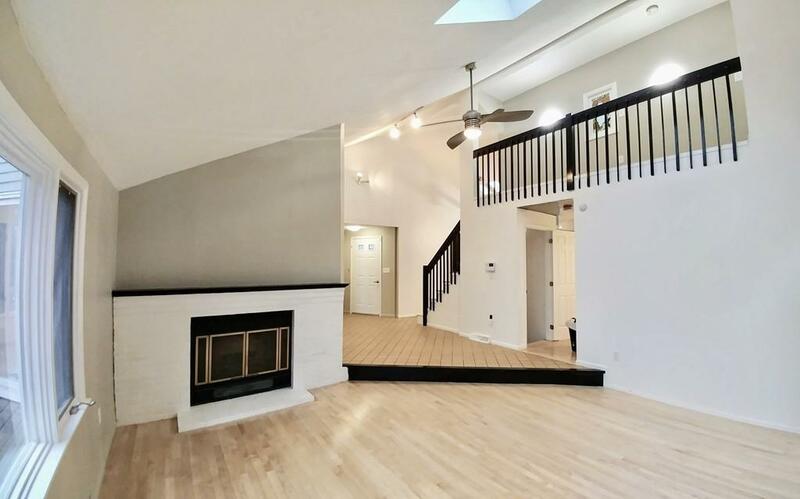 Features include cathedral ceiling living room w/skylight, ceiling fan & fireplace, dining room with slider to oversize deck, first floor study with library shelving, bedroom & full bath. Second floor has master suite with large cathedral bath w/soaking tub, 4' shower with glass door & double sink, white cabinetry with marble top. An additional 463 sf of finished space on the lower level of media room with storage closets & a game room. This flexible floor plan offers interchangeable spaces of family room, dining room, library/study/office on the main level. 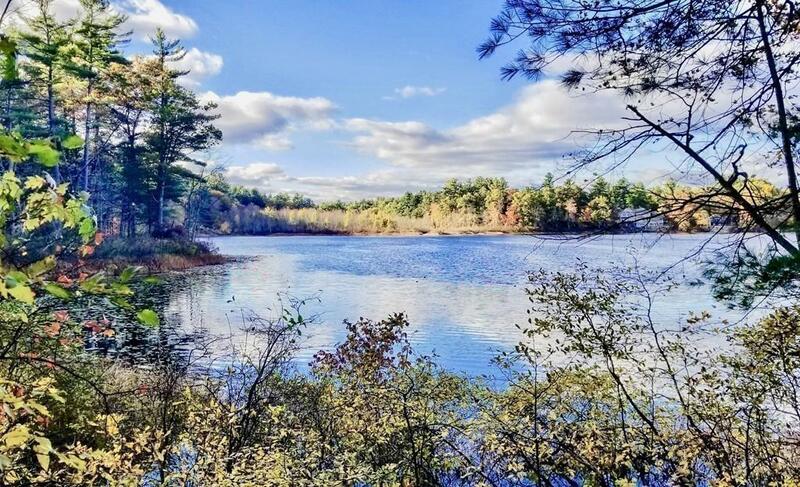 From the slider in the family/dining room a large deck overlooking Keyes Pond has direct access to the path to the pond.Also 2 car garage.The tranquility of this private, natural setting is second to none! 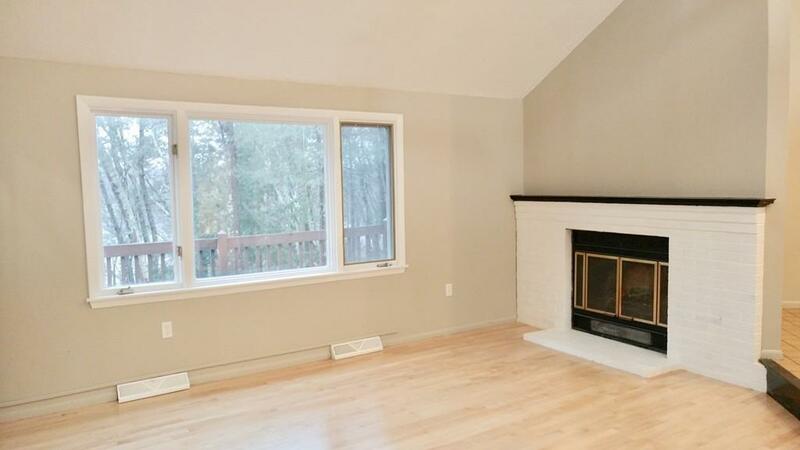 Listing courtesy of Leslie Thomas of Coldwell Banker Residential Brokerage - Westford. 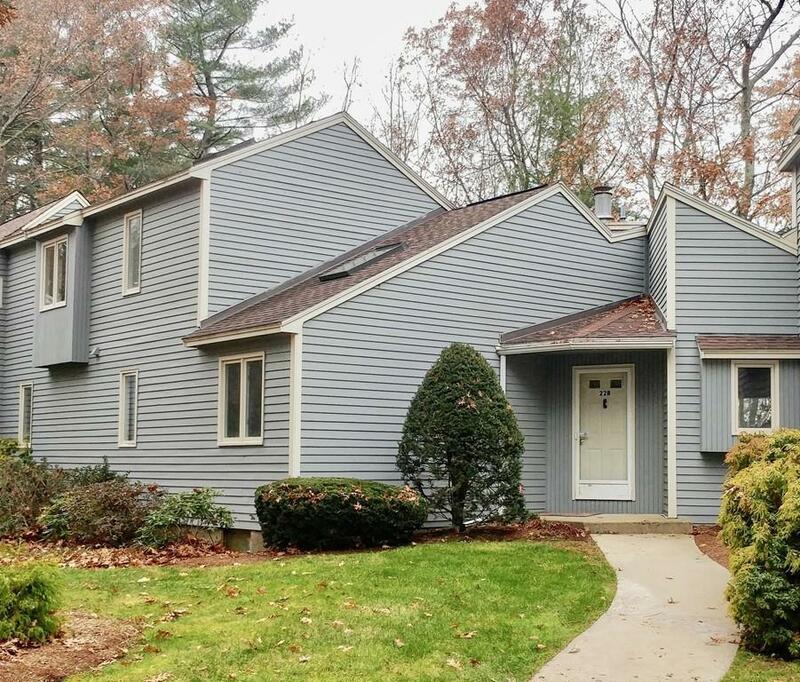 Listing provided courtesy of Leslie Thomas of Coldwell Banker Residential Brokerage - Westford.